This makes the perfect stocking stuffer for women of all ages, from pre-teen to adult! Luscious lips – it’s a universal wish for millions of misses’ mouths. Top that with the dire need to never be at a loss for your gloss, and enter, YOYO Lip Gloss, your one-stop shop for glammifying on the go. I started wearing Yoyo Lip Gloss a week ago while I was in the hospital and it is a new favourite of mine. I love the fruity flavour and tingle. In the winter my lips dry and chap quite badly. Now as I am constantly losing and misplacing things, the idea of attaching lip gloss to me solves that problem. No one will ever know how many I have stuffed in my purse or my desk at work. I usually don't wear much make-up... only on my eyes. When I do decide to wear lipstick, lipsticks don’t moisturize and always seem to leave my lips feeling chapped. Their barrier works until it wears or eats off. With Yoyo Lip Gloss these problems do not happen. This gloss comes at the end of a 2 1/2 foot retractable cord that clips on to its wearer’s clothes. One application makes lips sparkling and shiny. Real flavors give the glosses their names– cha cha chocolate, kissable kiwi, girl green apple, and big bounce bubblegum. Yoyo Gloss is almost a girl’s dessert candy without the guilt or the calories. It’s thick, creamy, and lasts for hours. 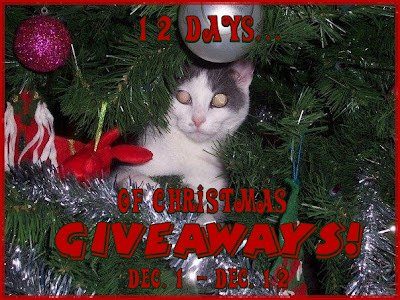 Yoyo Lip Gloss has sponsored my '12 Days of Christmas Giveaways'! One lucky person will get the opportunity to win their very own lip gloss! "Win your own Yoyo Lipgloss! @kimmie_1980 http://tinyurl.com/36m7hvt (12/19) #giveaway"
I received the Yoyo Lip Gloss, in exchange for my honest opinion, and a review of my experience. I did not receive any other compensation or incentive nor was I required to write a positive review. Individual results or experiences may vary. Hi! Came over from the Friday Blog Hop at HomeGrown Families. Will be checking out your blog. Big Bounce Bubblegum sounds nice. follow you on blog frog. follow you on network bogs. Im back!! Have a great weekend! Happy to be following you now! Voted for you on We're On The Fence.